Why Theirs Wear Out – Legacy Chiller Systems, Inc. According to ITT Corporation’s (NYSE: ITT) plant performance guidelines, over 29% of a process chillers lifetime operation costs relate to downtime, repairs and maintenance. When it comes to mission critical applications, such as Medical Imaging, unscheduled downtime can increase operational costs to as much as 60%. With over three decades of process chiller manufacturing experience, Legacy has identified key reasons why competing brand chillers wear out faster also resulting in significantly higher lifetime operational costs. Below are a few key items to look for when you are shopping. For a more in-depth information on how to shop for your next process chiller, get a copy of our Process Chiller Buyers Guide today. Reason #1: Use of immersion heat exchangers. 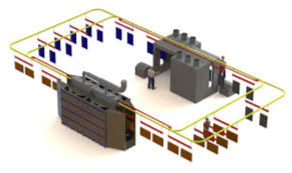 Immersion heat exchangers are widely used as a cost control measure. 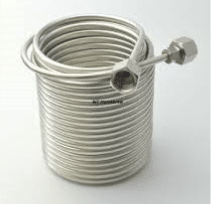 Configuring copper or in some rare cases stainless steel tubing into a circular pattern then mounting the assembly in a fluid tank does work in the short term. Over time, commonly within 3-5 years, ph and other conductive reactions will cause these heat exchanger to fail. When this happens the entire refrigeration system tends to flood with system water resulting in a total system failure. In most cases field repair is not cost effective requiring a complete chiller replacement. To save costs, some process chiller manufactures will purchase their cabinet steel in pre-painted sheets. When this metal formed to make the chillers cabinet paint damage can be damaged or completely removed. Depending on the operating environment, cabinets can look like this in as little as 24 months. If not addressed these materials can fail leading to significant damage. 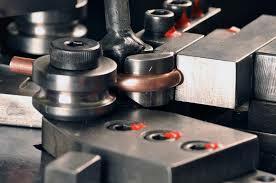 Use of copper fittings in plumbing systems is common. Use of these fittings requires solder to be applied at each piping connection. 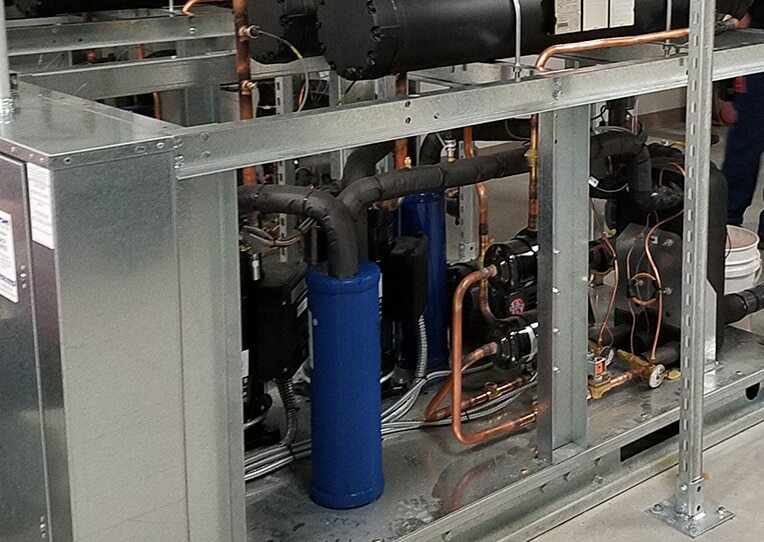 In process chiller manufacturing any solder joint represents the potential for a fluid or refrigerant leak over the lifetime of the equipment.